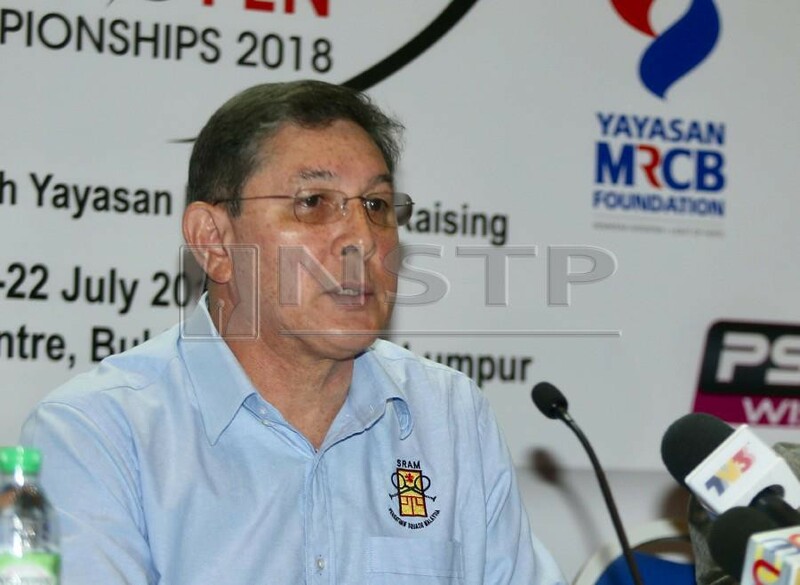 (File pix) Squash Racquets Association of Malaysia (SRAM) president Nik Razeen Daud said there will be implications if SSCs take over from NSC in running the development programme. NSTP/ Zulfadhli Zulkifli. KUALA LUMPUR: The National Sports Council’s (NSC) decision to discontinue the State High Performance Sports Unit (USPTN) programme and allow states to take over talent development has raised some concern. From next year, NSC will channel funds to each State Sport Council (SSC) to run their development programmes. However, the amount each state will receive is yet to be confirmed. All USPTN coaches, whose salaries were previously paid by NSC, have been informed that their contracts will not be extended when they run out at the end of the month. It is now up to their respective SSCs to absorb them though this will be at their discretion. Squash Racquets Association of Malaysia (SRAM) president Nik Razeen Daud said there will be implications if SSCs take over from NSC in running the development programme. “Squash wise, we have been told that our USPTN coaches in Selangor, Negri Sembilan and Kedah will be absorbed by their SSCs. But we are not sure about our coaches in Federal Territories, Sarawak and Penang which are our other main talent producing states," said Razeen. "We are not sure how much NSC will be giving the states and it is also not clear whether it is purely for sports but also for the salaries of those around the sports (including administration). Obviously there will be some implications in terms of cost and so on. "Previously, USPTN (staff and coaches) resided in the states, and worked together with their SSC but reported directly to MSN at the national level. It will be different now. "This (system) will, however, leave sports exposed because if the respective SSC favour a particular sport they could allocate more (resources) there. On the other hand if they perceive the sport as no good, they may choose to drop it. "You can't tell them (SSC) they must give it (resources) to squash or any other sport, it is up to them to distribute as they see fit. All these things cause a great deal of concern and confusion." Razeen agreed that SSCs’ emphasis on doing well at the Malaysia Games could influence the way they manage their resources. For many SSCs the Malaysia Games is often used as a Key Performance Indicator. "SSCs will obviously look at Malaysia Games medals and sports which can contribute more medals for them. USPTN did not do this," added Razeen. A total of 19 sports are covered by USPTN, which has evolved in name and format over the years, and has played a major role in talent development for over a decade across the country.